After spending nearly a decade at a location between Hiroo and Nishi-Azabu, Mediterranean eatery Cicada surprised its regular clientele by upping and moving to Omotesando in October 2012, not far from sister restaurant Beacon. The owners admit that they were lured by the site itself, and it's certainly a distinctive one: a three-storey mansion built 50 years ago by the famed Japanese architect Yoshinobu Ashihara. They've put the new space to good use: there's more seating than at the old Cicada, spread between booths, counters, an outdoor terrace and three private rooms. 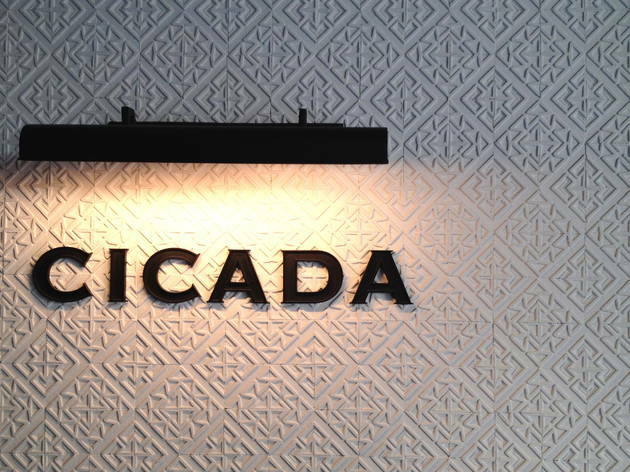 As with the old Cicada, the menu draws on a wide spectrum of Mediterranean influences, including Moroccan, Portuguese and Italian cuisine. Sample selections at dinner include pan-roasted scallops with farro and maitake risotto, chicken tagine with lemon and olives, and Valencia-style paella – and they're all perfect for sharing with a small group of people.